The Nottingham Post wrote yesterday that the Defence and National Rehabilitation Centre (DNRC) could make its treatment facilities open to civilians who have suffered major trauma injuries. 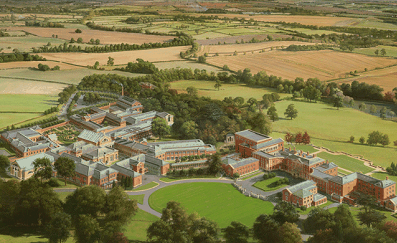 The DNRC also confirmed that they are exploring the potential for a national facility onsite at Stanford Hall on Twitter. Detailed plans are being put together by the hospital trust which runs The Queen’s Medical Centre and City Hospital, aiming to offer rehabilitation services at the DNRC which are currently offered to severely-wounded military servicemen and women. When the DNRC was designed, the founders always hoped to open part of the centre for injured members of the public in need of intensive rehabilitation. Now £70 million is being put into the centre by chancellor Philip Hammond and the site is being planned by Nottingham University NHS Trust (NUH), saying the facility has the potential to ‘very significantly’ improve the rehabilitation which people in the East Midlands receive. The Black Stork Charity, who started the project, welcomed the funding and said it will give the ‘National’ element of the DNRC ‘valuable momentum’. Summit Medical and Scientific were proud to install the world’s most advanced gait lab, Motek‘s Computer Assisted Rehabilitation Environment (CAREN), at the DNRC earlier this year. This is already being used by military servicemen and women onsite, read more. You can also see the CAREN High End in use during onsite training here.